Fulbright SE Asia Conference: About two weeks ago, Fulbright scholars from around Southeast Asia were invited to Manila to take part in the annual Fulbright Mid-Year Conference. When the Vietnam group stepped into the Shangri-la hotel, our new home for the next week, our jaws were on the floor. A 360 degree view of the lobby will show you a lounge with sky high glass walls, a live band off in the corner, the entryway to a beautiful swimming pool, and then Heat restaurant (hands down the best breakfast/lunch buffet I have ever experienced). By the way that we were reacting, the other scholars most likely thought that this trip was the first time we had been welcomed back into civilization in months. The next day, Fulbright students and scholars from Singapore, Malaysia, Vietnam, Thailand, Laos, Cambodia and the Philippines engaged in a multidisciplinary discourse that included both academic and cultural experiences. The level of excitement in the room far surpassed that which was elicited from us when we saw our accommodations (keep in mind this is coming from someone who has been eating off street carts for the past 7 months, so you know the Conference was good!). Everyone was genuinely interested in the research that was being conducted within these respective countries, and even more so, learning about these current developments helped us all to understand the progress in our own host nations as well as the region as a whole. It was truly a remarkable experience, made even better when I crossed paths with a fellow Anteater! Before coming to the conference, I had been so entrenched in my work that it had completely slipped my mind that I would have the opportunity to meet our Thailand scholar—Andy Hoang. It was truly a pleasure to be able to meet with Andy and hear about his current research. He discussed how social norms in Thailand affect the treatment of children with special needs, which paralleled research he had previously conducted in Vietnam. I found Andy’s perspective and research particularly interesting because of an experience that I had a few days before coming to Manila……..
My Visit to the Agent Orange Village in Tu Du Hospital: When I had first agreed to teach at HUFLIT University, one of the stipulations that the President and I had agreed upon was that a portion of the money that I earned would be donated to the victims of Agent Orange. As the Chairman of the Board for the Ho Chi Minh City Association for Victims of Agent Orange, he was pushing for me to visit the Tu Du village, which is part of the local hospital. As the time neared to make the donation and visit the children, I was hesitant to go. If you venture around the most populous parts of the city (particularly in tourist hot spots), you are bound to see a person afflicted with physical deformities associated with Agent Orange. So, one would assume that after an extended period of living in this city, I had seen enough of this to desensitize myself from what I was going to see at the hospital. Even so, I felt very uneasy about my impending visit. I was afraid of what I was going to see and how I would react. On the eve of my visit I continued to mull over the necessity of visiting the site. Needless to say, I decided that the right thing to do was to go and to face my fears. When I stepped into the village area, where about 60 children live, I was greeted with smiles—all of the children were so excited to have new visitors to interact with. An area approximately the size of the UCI Scholarship office hosted doctor’s offices and beds for all 60 children (ranging from the age of 3-28). Some children were bedridden because of the growing tumors and mental disabilities, and others were free to roam around on the floor outside. The first few moments you are in one of their bedrooms, and their reality sets in, your heart begins to sink. In a country with a healthcare system that is already poor, children with special needs are particularly marginalized (on many different levels). Not only have many of these children been abandoned by their parents, but to say that their medical treatment and living facilities are subpar would be a major understatement. Seeing a life in suffering is never easy, the natural reaction is to feel sorry for them. However, when I interacted with them—I could not keep the smile off my face. These children were so full of life and just genuinely happy to be playing with my friend and I. Whatever physical disabilities they had did not obstruct their jovial nature—it was a challenge to keep up with their pace! In exploring one of the rooms reserved for older girls, I met a girl named Hong. I had been tired out by the younger kids and wanted to take a break, so I sat down on the floor and she happened to come up and talk to me. I found out that she is a student at HUFLIT (the school I am teaching at) and that she will be completing her degree in Information Technology this year, and already has a job lined up as a manager after she graduates. She lives in the hospital in a small room with about 12 other girls, and when she is not studying for her own schooling, she helps tutor the younger students who are able to attend general school. Every day she drives her motorbike to the university without any special assistance. Hong has no legs and one functioning arm. Finally, I understood what my roommate had told me (she is a fellow Fulbright student working on healthcare reform): to feel sorry for these children would be to undermine everything they have accomplished. It is truly amazing. I am in the process of obtaining permission to volunteer at the village on a weekly basis. Now, when I really think about where I want my work to take me…it is not to places like the Shangri-la. It is to the people that inspire you, like the children of Tu Du village. Since I can’t think of a smooth segue from cow costumes to floods, I’ll just jump right into the second topic of this entry. Flooding is a frequent occurrence in Vietnam’s central highlands. Each time homes are destroyed or damaged; rice and subsidiary crops are inundated; traffic, electricity, and communication systems are disrupted; and people lose their lives or go missing. Being located in Qui Nhon, the students and their families in the Electronic Vocation School must face the storms and its accompanying damages on a yearly basis. Last summer, eight of the students had to take a temporary leave of absence from training to help their families repair damages to their homes and crops. 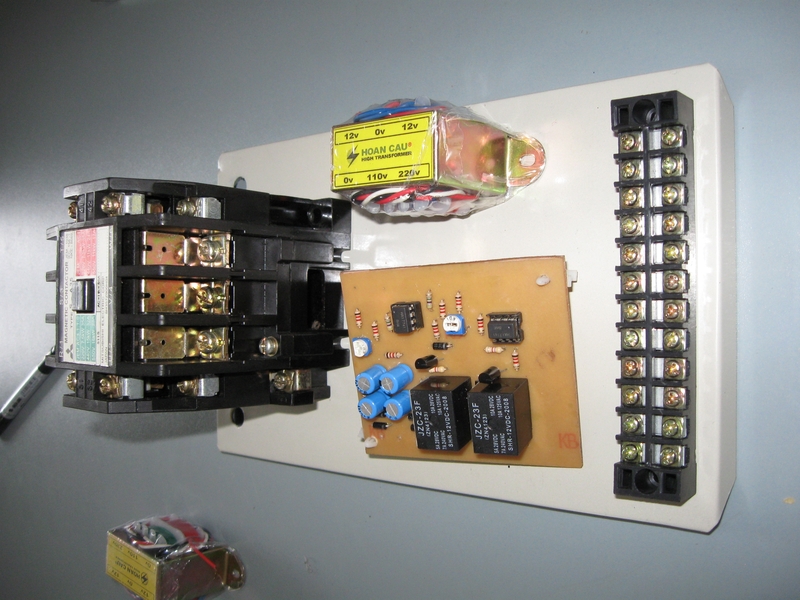 Since then, to prevent homes in the surrounding provinces from getting damaged, our students have designed a device called electro-mechanical sensor. The purpose of this device is to send proper signals to activate the water pumps on the onslaught of a flood before any damages are caused. 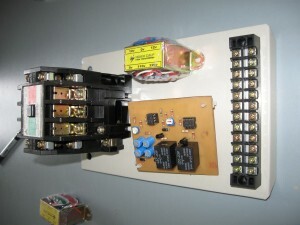 The students—with the assistance of our teachers—not only designed, produced, and tested its functionality, but also installed the circuit. It is amazing to see, with just a little help, what our students can achieve; they now not only support their families with their new, stable job, but also have made a huge impact on the people living in the area. I can’t wait to see what else they achieve in the future. 2nd entry: On February 12, 2010, I witnessed the first snowfall to blanket Rome since February 1986 (oddly enough, exactly two weeks before I was born). The city was in an uproar: banks closed, traffic was at a standstill, children ran from their classrooms to throw snowballs, and in spite of the icy cobblestones, people flocked to the Vatican to catch a rare glimpse of the Piazza San Pietro covered in white. And the weekend only got more memorable. 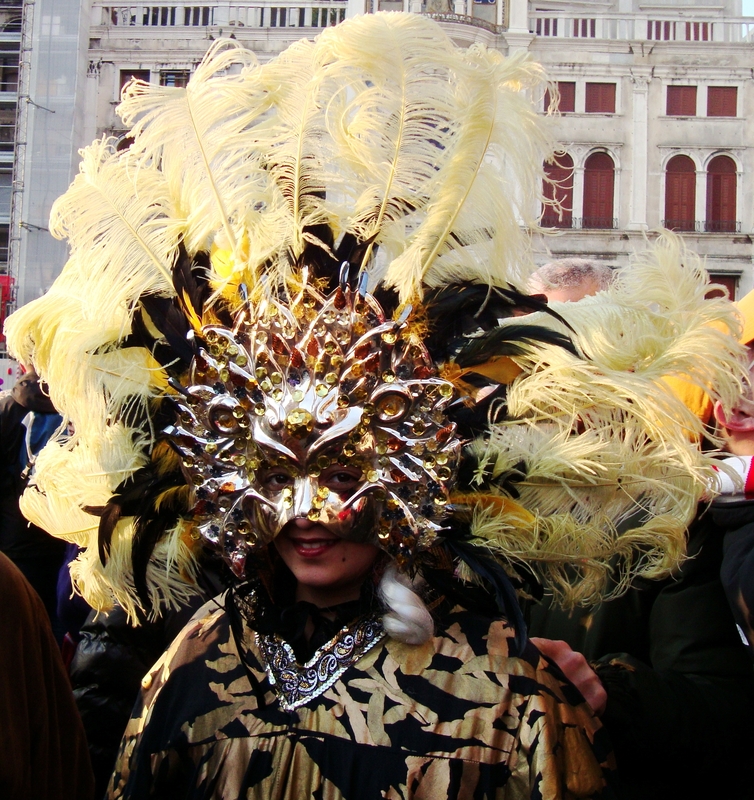 The following day I hopped on a train from Rome to Venice, where an entirely different sort of uproar had taken over the city: Carnevale! 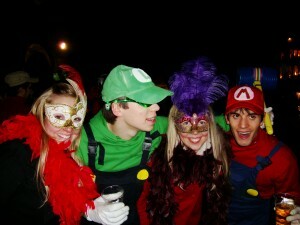 With several friends I spent an entire day and night wandering the streets of Venice in maschera. The crowds were packed with people in lavish costumes—among the traditional Venetian masks and gowns we spotted everything from the Ghostbusters to God to the Mario Brothers. It was incredible to see how much work and creativity was poured into creating these costumes! When night fell Piazza San Marco and the Rialto exploded with live music and dancing. This happened to be my second trip to Venice, but only after this experience did I truly understand the city’s wonder and charm. 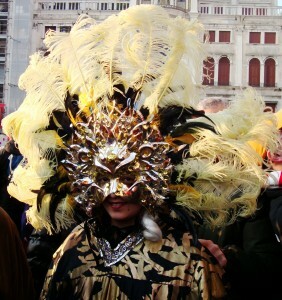 After experiencing Venice’s Carnevale, I decided that I wanted to witness a lesser-known Carnevale for comparison. My curiosity led me to Ivrea, a small town just outside of Torino in Northern Italy. 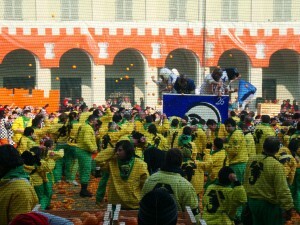 Ivrea celebrates Carnevale with “La Battaglia delle Arance” (the Battle of the Oranges). You won’t believe it until you see it. This battle, representing an uprising of Ivrea’s peasants against their tyrannical overlords in the Middle Ages, takes over the entire town. People on the ground are members of 9 different teams (my personal favorite being named the “Orange Throwers of Death”); these teams ‘fight’ against some two-dozen horse-drawn chariots that ride through the crowded piazzas. What ensues is that the people on the ground, pockets filled to the brim, throw orange after orange at the chariot riders, and vice versa. By the end of the day, I saw many broken noses and fat lips—and the ground was one thick pulpy mess! My research in Art History involves a great deal of reading and translating, analyzing drawings and paintings, and spending many hours in libraries throughout Rome. But I feel as though I’m learning the most from participating in local traditions such as these, which are history in the making. You are currently browsing the Scholarship Opportunities Program blog archives for April, 2010.